Synopsis: A little cartoon book about mushrooms. Not quite non-fiction, but plenty of facts about different kinds of fungi. 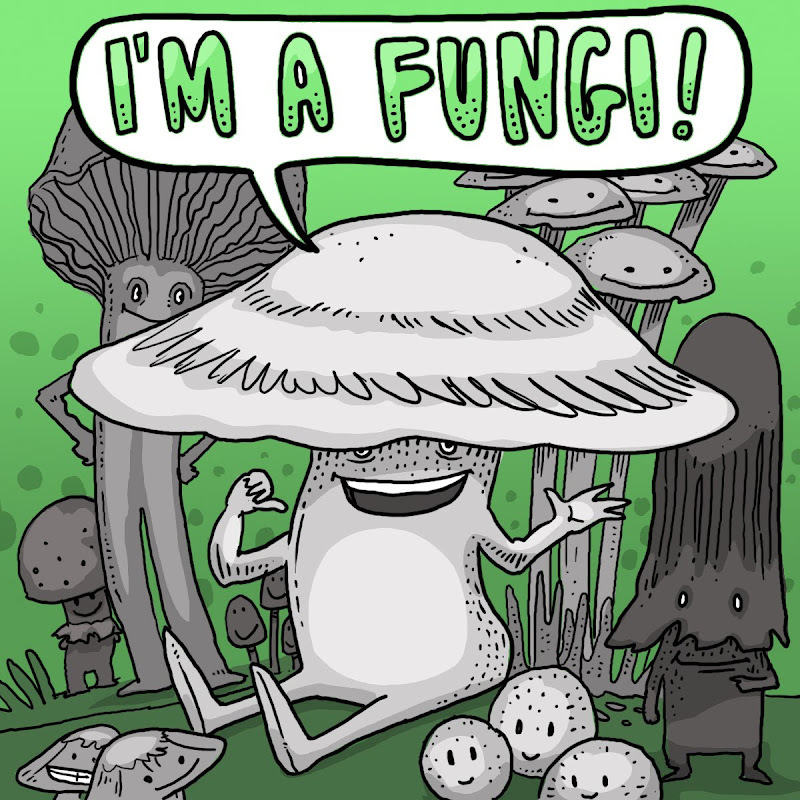 I was surprised that the old "Hey, I'm a fungi!" punch-line has not been used as a title before. I found t-shirts that used it, but no picture books. 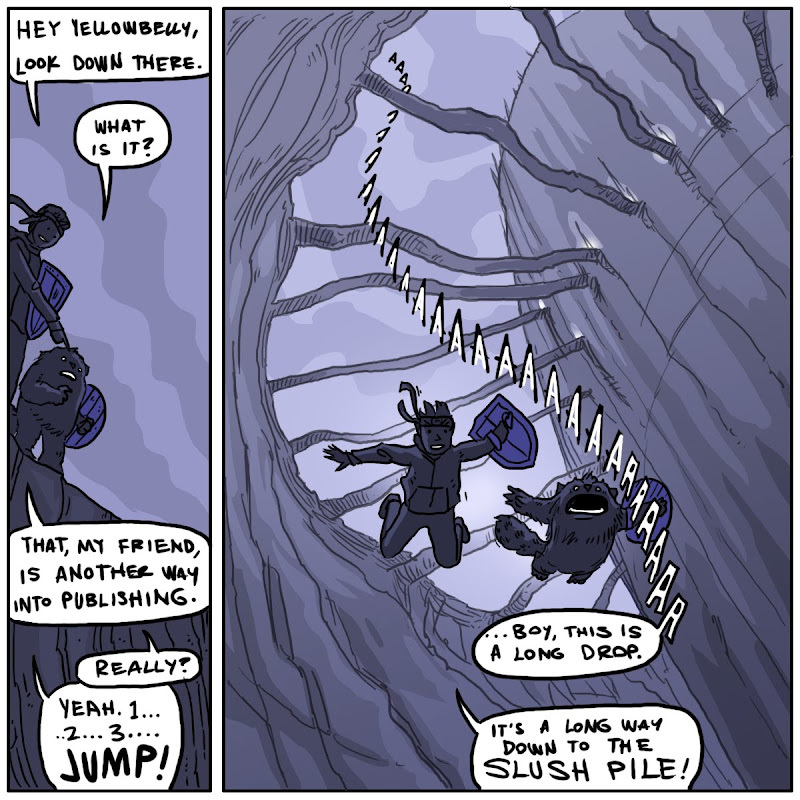 Slush pile? I AM intrigued. I hope you will include morels in your mushroom book. They're supposed to be prehistoric or different or something, but they are so pretty and we found one growing in my parents lawn one day--8 inches tall! Hey, I'm a fun Guy too. So, the continued descent into the land of doom (fabulous, btw) made me wonder: if children's publishing is like Dante's Inferno, is there also a parallel to Paradiso? And can we go there next? Edith--"Slush Pile" isn't even my term, that's really what they call the unsolicited manuscript pile. Morels seem to be the mushroom with the largest fan base. I had a boss once who would take a week off during morel season to go ramble in the woods looking for them. I've never seen or tasted one. Kactiguy--Is famous illustrator Guy Francis, and he IS a fun Guy. Chris--Nobody ever talks about Dante's Paradiso. Everyone wants to hear about the gruesome stuff. So will this book be hanging around picture book single's bars trying to find action?